A flat roof is a roof which is almost level in contrast to the many types of sloped roofs. The slope of a roof is properly known as its pitch and flat roofs have up to approximately 10°. 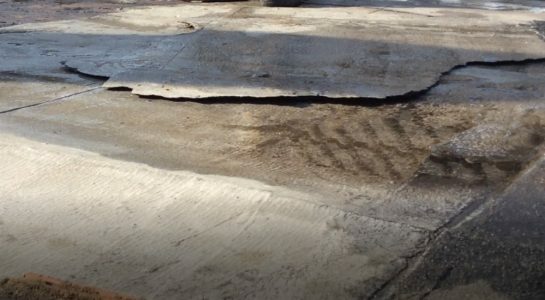 A flat roof has to have a slope in order for the rainwater to drain away. Flat roofs are normally used on garages, bay windows, outbuildings etc. 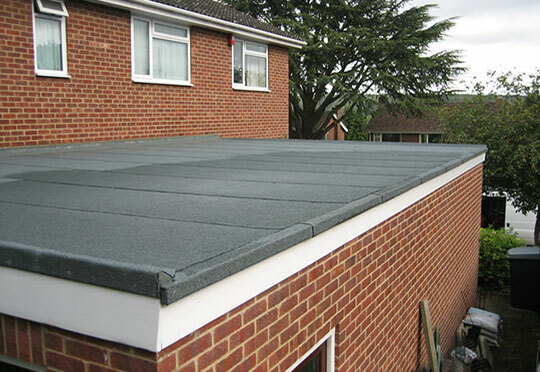 Flat roofing is a common type of roofing seen in the UK and elsewhere. 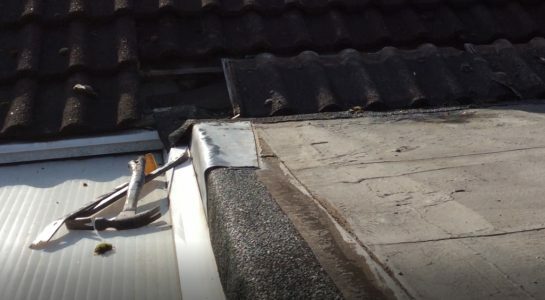 D & S Home Improvements offers quality flat roof fittings repairs and upgrades with a wide range of materials. We always take our time with new installations and maintenance work alike, so that you can be assured of the best quality possible. We replace your old flat roof with a new Fibreglass roofing surface. 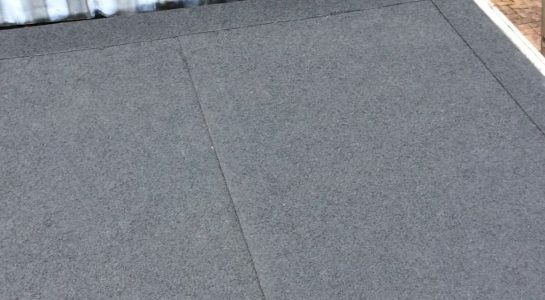 Fibreglass Flat Roofing Installations & Repairs. Fibreglass also called glass-reinforced plastic/polyester, is a fibre reinforced polymer made of a plastic matrix reinforced by fine fibres of glass. Its bulk strength and weight properties are also very favorable when compared to metals, and it can be easily formed using molding processes. 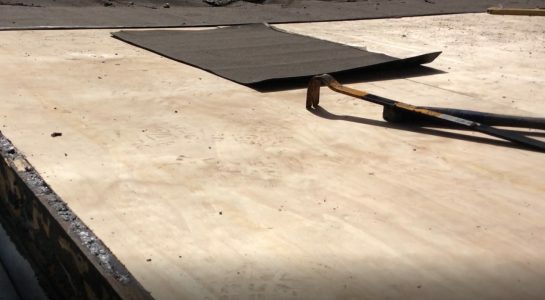 We repair and upgrade traditional felt materials for flat roofing. Flat roofing products and techniques are much better these days and no longer deserve the bad reputation that they had previously. Modern versions are much less likely to leak and better insulated than ever before. If your home does have a poorly fitted flat roof or it is leaking (when it rains) a replacement will probably be much more cost effective in the long run, than a repair. Call us today, for help and advice. 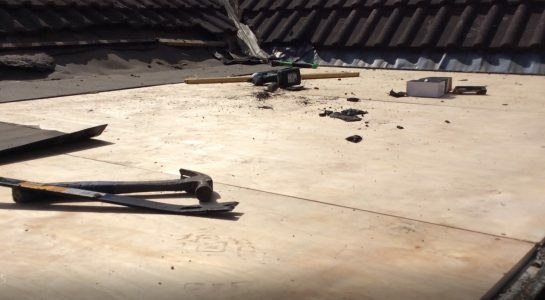 We will advise you on the best course of action regarding your flat roof. Torch-on felt:Applied hot in two or three layers, it remains potentially the cheapest covering but there are several different grades you can specify.The best felt systems are now comparable with any of the alternatives but cost just as much.Torch-on felt still has its admirers.Although it’s a cheaper product, it is built up in layers and this gives a more robust finish, more suitable for light foot traffic. And the fact that it is applied hot makes it easier to form around penetrations and corners. 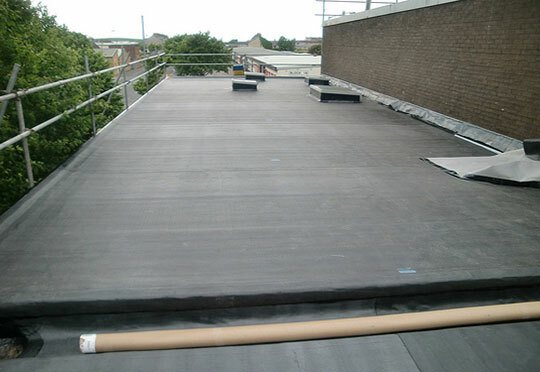 We can lay a single sheet of rubber cover over your entire flat roof. 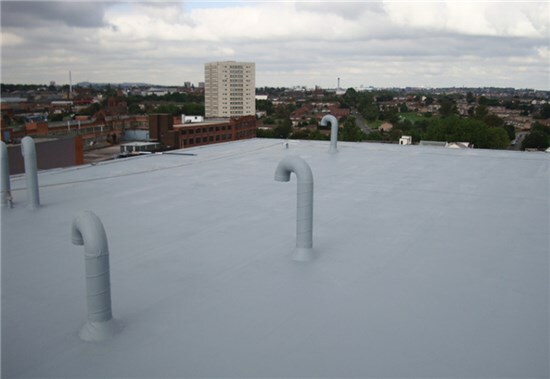 EPDM rubberised roofing is widely used and a popular product to install. It comes on cut-to-measure rolls with its own flashing systems. It is usually bonded to the substrate with adhesive. should last at least 30 years. Firestone, the tyre manufacturer, is the number one supplier.